For so many years I wondered why Good Friday was named as such. I couldn’t really wrap my brain around what was so good about it. I felt terrible every single time I would see a Cross re-enactment play. I would make it so real in my mind, and it was so hard to watch. I would sob seeing Jesus go through what he went through. I kept asking myself: Why were we calling the death of Jesus “good”? 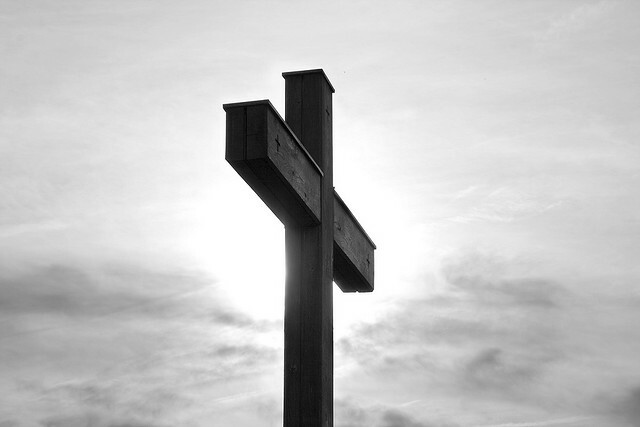 Growing up I attended various Good Friday church services where the mood was so very solemn. Sad, mournful and full of regret, I would walk with my head down to my seat in the pew. And I get that sentiment, I really do. I understand the sacrifice was because of (my) sin. I’ve been taught all the horrible things Jesus had to endure before his death. But I don’t hang my head anymore. Now I know why Good Friday is so very, very good. From the beginning of time, God knew what was going to happen. He prepared a way. He poured himself into flesh as the solution for all of it. We know all this already, right? When Jesus became the atonement, it was all done. All that was yet left undone, became done. His death was the trigger, the catalyst, for these cataclysmic events to come. The resurrection, pentecost, the Lord’s return. Once that death happened, everything else was done in God’s eyes. It began our call to Kingdom and to looking forward. He wanted us to look ahead to his resurrection. He wanted us to look ahead to his return. He made it all complete, and there was no need to feel incomplete ever again. Death no longer has victory over our souls, because it is finished. Sin no longer is what we are painted with when God looks at us, because it is finished. I don’t have to walk in shame or feel anything but a daughter of the Most High God, because it is finished. You who walk in the shadows, come forth, because it is finished. The Enemy may try to influence me and you, to sway us, but he can never win. Never. I don’t feel sad on Good Friday anymore. I humbly receive the Lord’s gift with gratitude, stand looking high in awe and wonder. At the deep meaning of his death being so innocent, so holy and so pure that it covered every human ever. Even me. Especially me. Especially you. This article is from Incourage Me. So many beautiful writings are shared on this site. Wishing each of you and your loved ones a very blessed and Happy Easter! Thank you for sharing this with us on this holy day. Such good news! I'm so glad you had a change of heart, Pat. Thank you so much for this message today. It can not be said enough. Thanks for this Pat. What a wonderful post to reflect on as I head to bed. Wishing You & Your Family a Happy Easter.